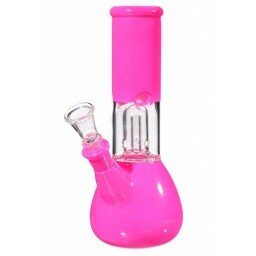 The Wicked Wrench Recycler - 12” Matrix Percolator with Cool Cylinder Handle - pink -The Greatest Online Smoke Shop! 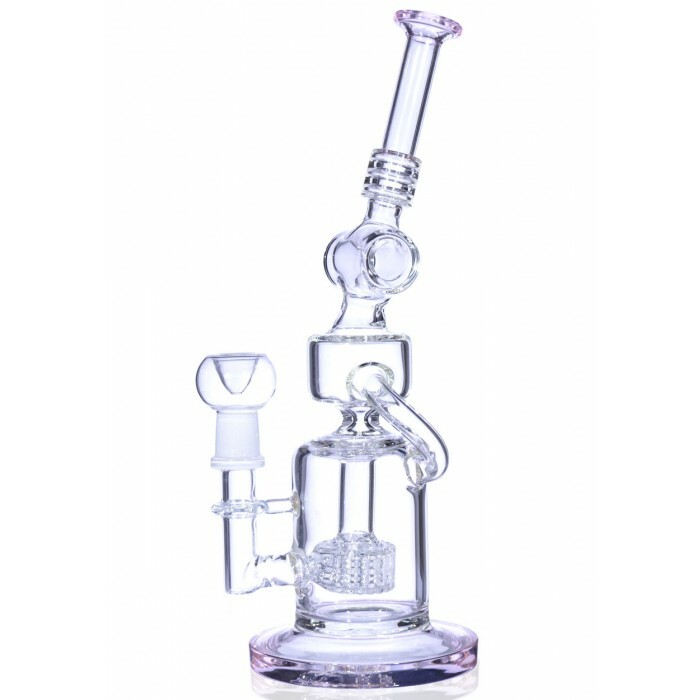 Really awesome and intricate Recycler design.  Has a hollow Cylinder that doubles as a sturdy handle. 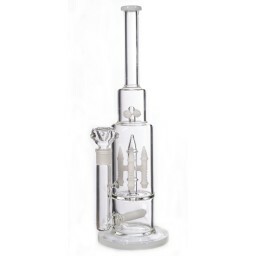 Comes with big matrix percolator. 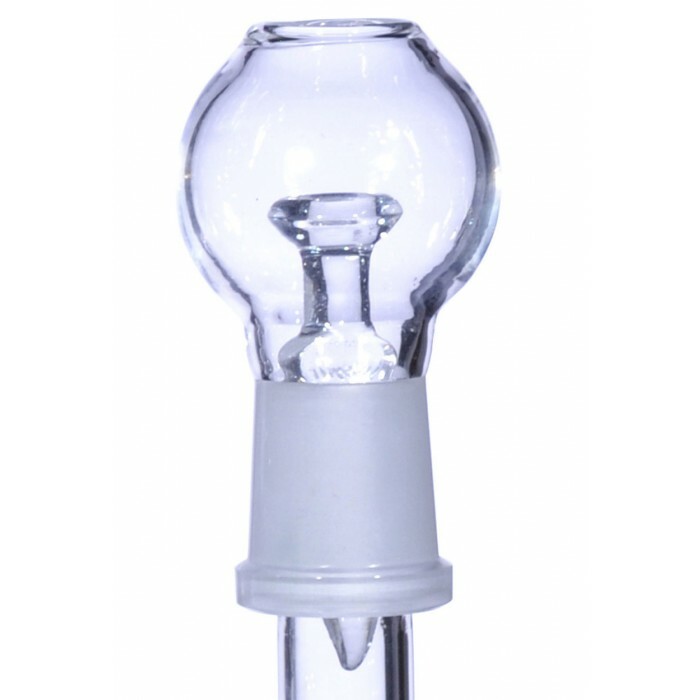 Heavy, 5mm thick, high-quality Boro Glass. 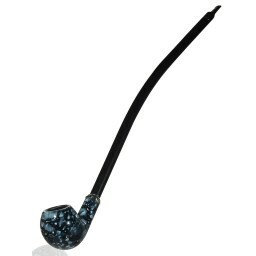 This pipe has a 19mm male joint and includes a 19mm female bowl, oil dome, and nail. This is one of the cooler pipes out there. Its design and structure include all sorts of cool different shapes that all together give this piece a really attractive and elaborate look. 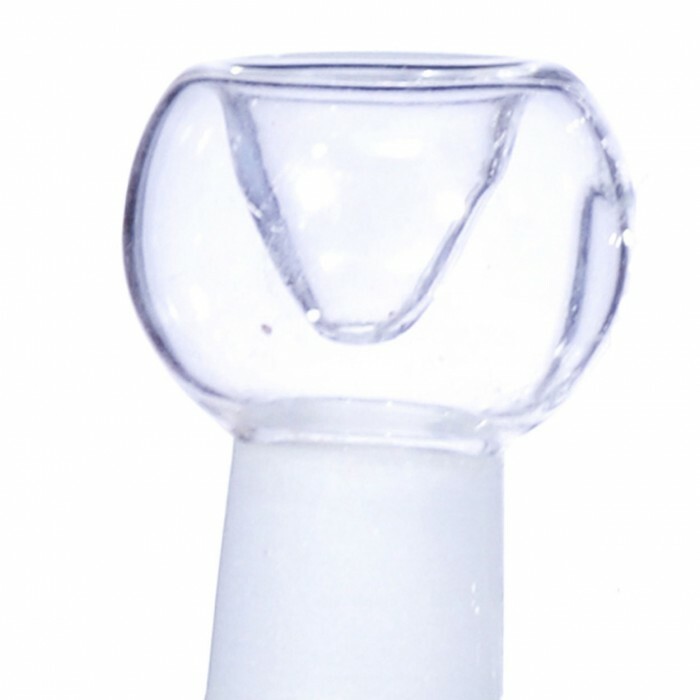 The neck blows out into a really cool looking and useful hollow Cylinder. 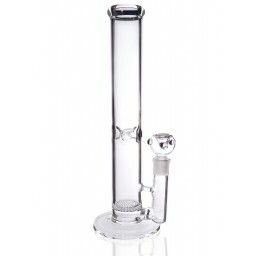 The Cylinder can double as a nice, sturdy handle to hold on tight and make sure your piece is safe while you puff back. Remember safety first and teamwork second, always! The Wicked Wrench Recycler has some great features built-in that make the smoking experience smooth and easy. 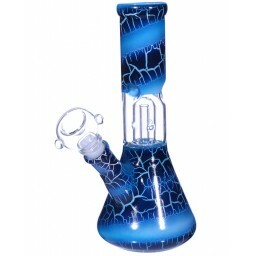 The smoke and water first work their way through a big matrix percolator near the base of the pipe. 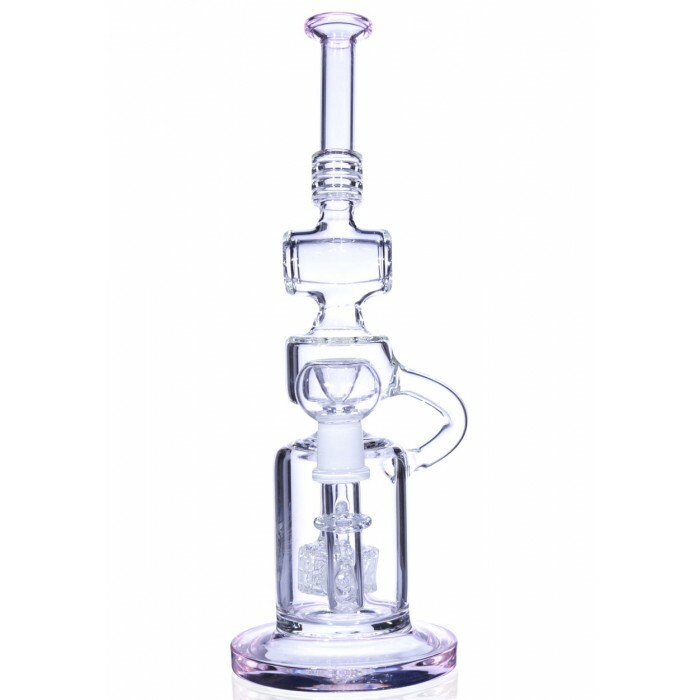 Matrix percolators are some of the most sought after and wanted percs, as their intricate shapes with multiple slits cool down the smoke to an excellent degree. 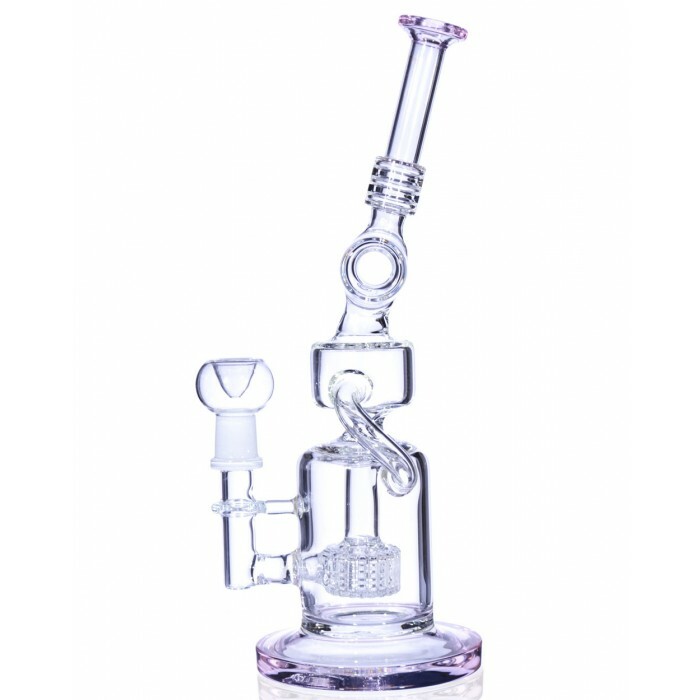 The water and smoke are then worked through the recycler, the nice tube that hangs from the side of the pipe. As the water and smoke are moved throughout, water bubbles will form and burst near the neck. This helps retain as much of the taste as possible. 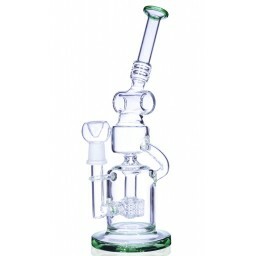 Together, the combination of the perc and recycler structure make this a delicious and smooth smoking session. 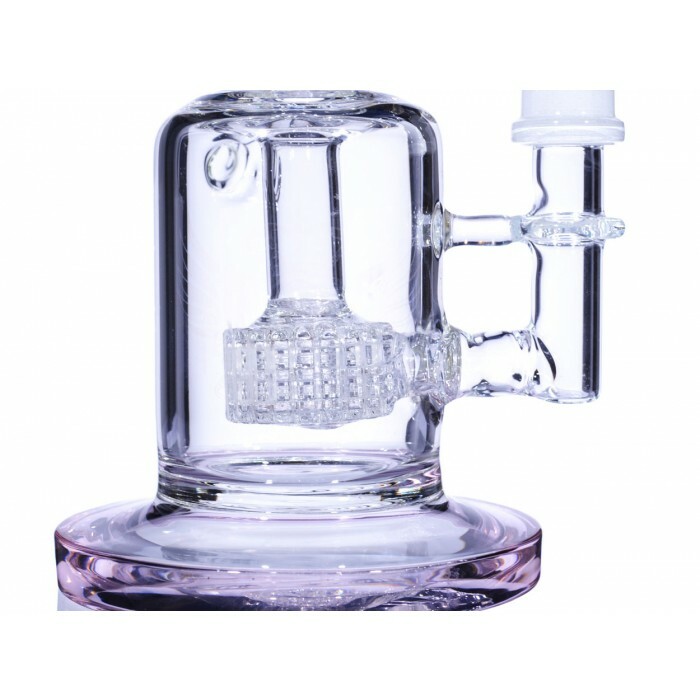 The base on this piece is 4.25” and the water chamber is 2.5”. 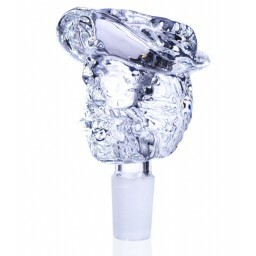 This pipe comes with a 19mm male joint, and includes a 19mm female dry herb bowl, oil dome, and nail.